Not only do we cover you from the sun with our shade sails and structures. We also manufacture covers for pools and sandpits. 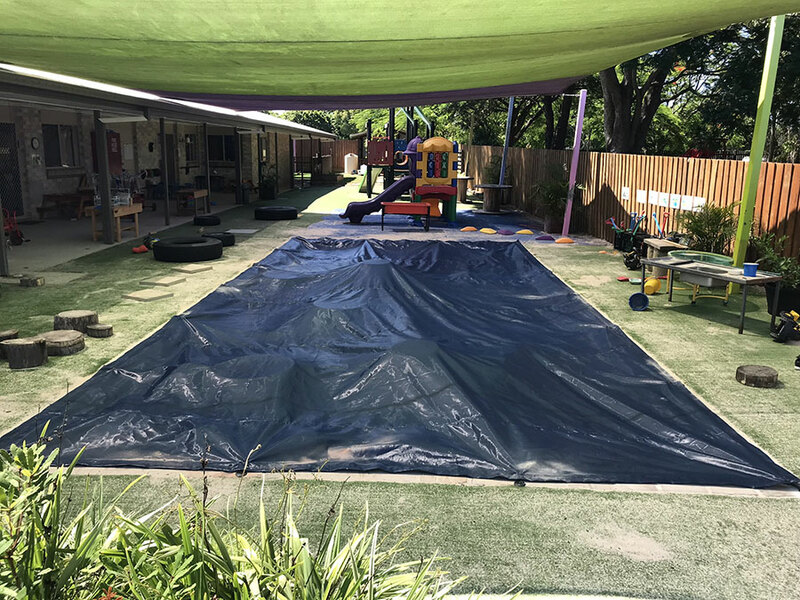 Our pool and sandpit covers are the best way of keeping out most leaves and little nasties, that want to get into your pools or your children's sandpits either at home or at school or kindergarten. Dependinmg on your pool size, you could be losing up to 4000l of water a month! 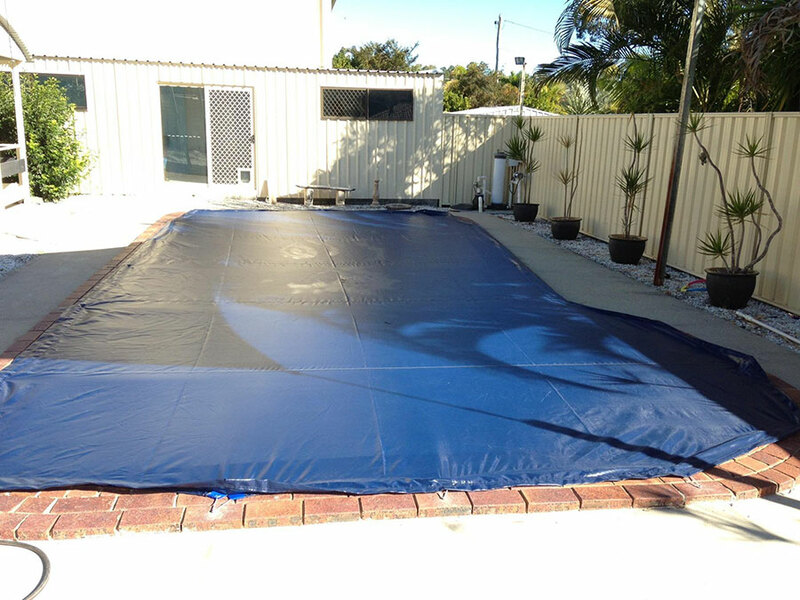 With our pool covers you will save up to 80% of water being evaoprated in our hot Queensland summers. And during the winter months, you will also be able to save on warming cost up to between 50% - 70%. Our pool covers can keep your pools up to 8˚ warmer all year long! 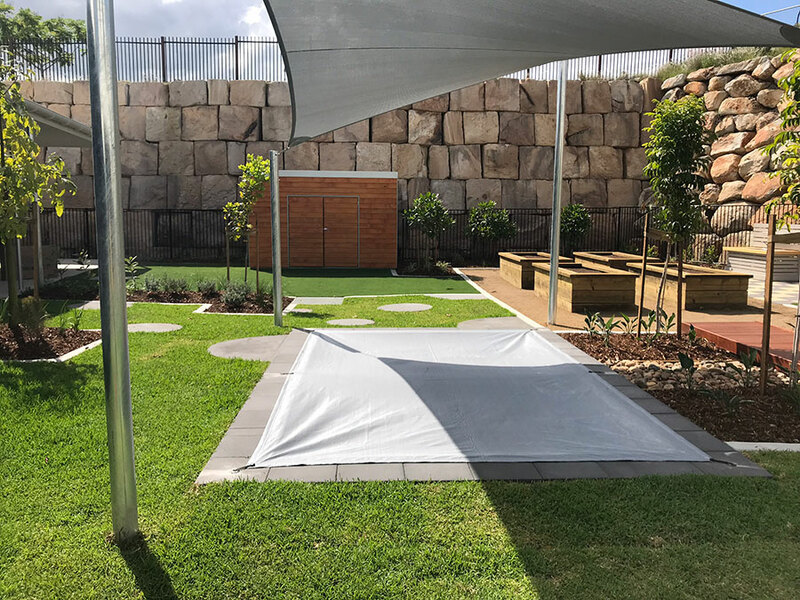 Also, during our wet season our covers will let the rain through, without allowing it being removed through evaporation, saving you on refilling your pool every few weeks! Furthermore, with our connection points being extremely strong, you shouldn't have to worry about animals getting into either pool or sandpit. And with it's 8 year warranty you won't have to worry about your pool or sandpit cover for the years to come. Please enquire about our pool and sandpit covers today! Serious About Shade are professional Shade Sail, Shade Structure and Outdoor Blinds makers who service Brisbane & the Sunshine Coast. They pride themselves on supplying high quality shade solutions at affordable prices and it's definitely worth you contacting them if you are considering adding additional shade to your home or workplace.